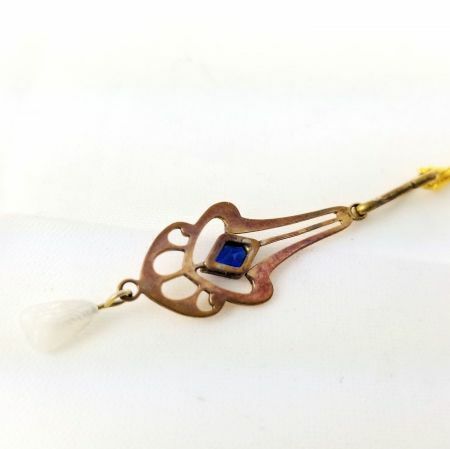 Description: An early 1900's Art Deco 10k yellow gold filigree lavaliere pendant with imitation sapphire and Mississippi River pearl. 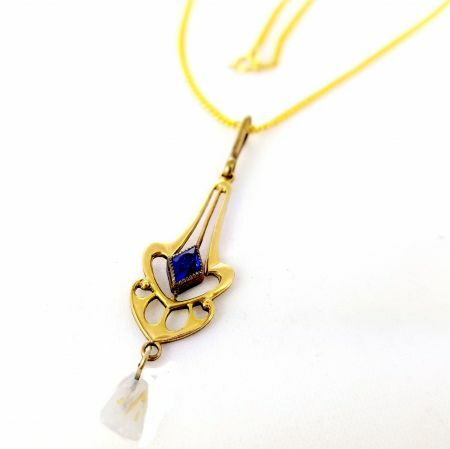 The diamond shaped faceted blue stone is sapphire colored glass that is bezel set. 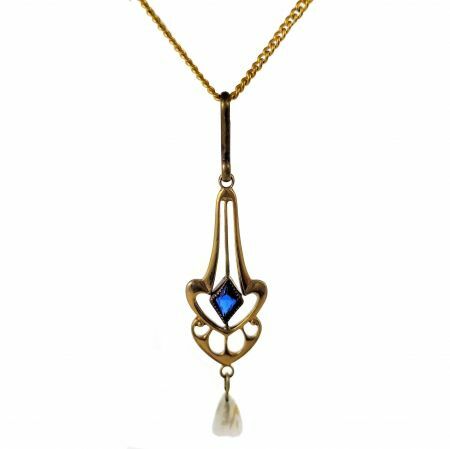 Dangling on the pendant is also an imitation Mississippi River pearl. Unmarked but tests 10k with the bail being a replacement and not original. Suspended on a 17 1/2" 14 karat gold filled curb link chain that is newer and not original to pendant. Measurements: Measures 2" including bail by 1/2" wide suspended on a 17 1/2" long chain. Condition: Very good. Abraison to the table facet junctions on the blue stone. On the glass pearl there is a chip on the side. Both are only noticeable under magnification.